Why does the Bible have four Gospels—Matthew, Mark, Luke, and John—that each tell about the life of Jesus? How reliable are they? How were the accounts handed down throughout history? What are the answers to skeptics who say the Gospels are merely historical fiction and were simply created to fit existing messianic prophecies? Bible Gateway interviewed Peter J. Williams about his book, Can We Trust the Gospels? (Crossway, 2018). What are the Gospels and how does the Bible having four of them confirm their reliability? Dr. Peter J. Williams: The four Gospels are the earliest accounts of the ministry of Jesus. On its own, having multiple accounts doesn’t confirm reliability, but the combination of evidence for each of the four Gospels and the complex patterns of interrelationship which they display allow us to have rational confidence in their truthfulness. 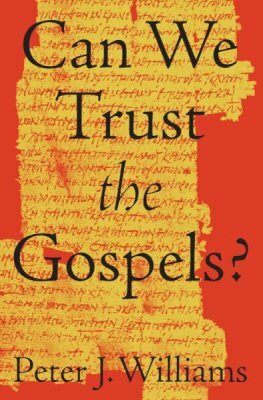 What is the most popular objection to the trustworthiness of the Gospels and how do you answer it? 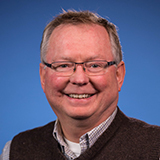 Dr. Peter J. Williams: The most popular objection seems to be that there’s a significant gap of time and events between the activity of Jesus and the writing of the Gospels. People believe that some things may have happened with Jesus, but also that so much could have changed in the way stories were told before they were finally written down. We can answer this by showing evidence of proximity in the Gospels across a range of indices. The Gospel writers, though mostly thought to have written outside of Palestine, have an impressive grasp of Judaean and Galilean geography, culture, and customs. At the very least, this means that in order to write their narratives, they’ve done significant amounts of primary research and taken care not to distort peripheral geographical details within narratives. Then we can also say that the patterns of speech (parables and teachings about known debates within Second Temple Judaism) across the Gospels make the most sense if they originated from a single teacher, not if the evangelists were simply putting things on the lips of Jesus. What are “undesigned coincidences” that appear throughout the Gospels and why are they important? Dr. Peter J. Williams: Often details in one Gospel dovetail with details which are independently in another Gospel. John J. Blunt and Lydia McGrew have written analyses of some of these and broadly speaking these are data points which skeptics do not even attempt to explain. The historical truth of the narratives is the most elegant solution. How have you tied together the historical reliability and the theological significance of the Gospels? Dr. Peter J. Williams: Obviously if the narratives are true and Jesus performed miracles and rose from the dead, that supports their theological contention that Jesus is a human quite unlike any other. The Gospels present him as the Son of God which provides a way of accounting for his miraculous life but also implies that we’re accountable to him. What was the most challenging chapter of this book for you to write? Dr. Peter J. Williams: The most challenging thing was leaving things out. My chapter on deliberate formal contradictions in John’s Gospel came together very quickly, but it’s tough to end a chapter like that and know that so many people will read and say ‘yes, but what about this other example?’ I already made the book 3,000 words longer than I intended and I remain determined that even if I ever revise this book it won’t grow. My aim has always been a short book for use with first enquirers. If you want more detail, you can read folk like Craig Blomberg. How do you think the Gospels’ reliability is solidified by the details of cultural, historical, and agricultural accuracy? Dr. Peter J. Williams: Writings imply things about their authors, particularly the knowledge base of their authors. So one of the questions we want to consider is the level of knowledge of the authors. From that we know they were either careful observers who lived in the land of Jesus or were people from elsewhere who had done a mass of homework to get the details right. If, of course, they were writing elsewhere (Egypt, Syria, Turkey, Greece, Italy, etc.) it would have been easy for them to write narratives with few cultural details or even wrong cultural details and not get picked up on it. So they took care about their narratives. If they took such care over peripheral details of the narrative then they were certainly capable of taking equal care in researching the teaching and message of Jesus. How do you suggest handling texts that seem historically problematic? Dr. Peter J. Williams: It’s good to remember that all extensive ancient writings will contain historical problems. That’s just normal. We should expect problems and when they appear slow down to consider them and read around the subject. View them as puzzles to be solved rather than existential threats. Dr. Peter J. Williams: Well, it’s all great, but I come back again and again to Matthew 4:4 where Jesus said: “It is written, ‘Man shall not live by bread alone, but by every word that comes from the mouth of God’” (ESV). These verses tell us how we should be obsessed with the question of what God has to say to us in Scripture. It’s more important than food. Dr. Peter J. Williams: I love all these resources and frequently use the website. I’m so glad for the work of Bible Gateway. 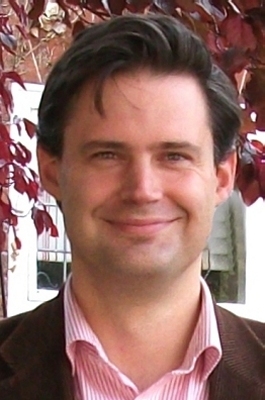 Bio: Peter J. Williams (PhD, University of Cambridge) is the principal of Tyndale House, a Cambridge-based research institute housing one of the world’s most advanced libraries for biblical scholarship. He is also chair of the International Greek New Testament Project, which is producing the largest scholarly edition ever attempted of a single book of the New Testament, namely the Editio Critica Maior of John’s Gospel. He is the author of Early Syriac Translation Technique and Textual Criticism of the Greek Gospels. Study the Gospels and all of Scripture by becoming a member of Bible Gateway Plus. Try it right now!